The smartphone market has changed dramatically since its inception. From the heady days of the original Apple iPhone through to the dominance of cheaper and more accessible brands, as well as old favourites like Samsung still hanging on in there, smartphones have become more essential to our daily lives – and thus more widely available – than ever before. We think 2019 will be another great year for everyone’s favourite pocket bricks. From Samsung to Apple, from OnePlus to Google, everyone’s queueing up for your cash this year, and competition means that you’ll be able to get some truly amazing deals. This might be the year you get yourself a loan to cover the cost of a top-end Samsung or Apple device, since some of the phones in the running for this year are mind-blowing. Without further ado, here are the top 5 smartphones to watch out for this year. We lead with a device that’s been at the forefront of many science-fiction fans’ desires when it comes to new phone designs: the Samsung Galaxy X, or Galaxy F. Samsung’s first foray into the world of foldable phones comes complete with two displays: one on the outside, which sports an 840x1960 display, and a second display on the inside with a 1536x2152 resolution. We’re expecting the phone to be announced in February, as Samsung devices usually are, alongside the more conventional Galaxy S10 flagships. We don’t know when it’ll be released yet, though. Don’t expect this phone to be cheap; this’ll be the first commercially available and decent foldable phone of its type (ZTE previously had a stab at folding tech, but the phone wasn’t great), so you’re probably looking at upwards of £1,300 for this beast. That said, if you’re the kind of tech geek who just wants to show off your folding phone to your buddies, then how could you refuse? Even if you don’t buy it, just looking at it in all its weird glory will give you a secondary thrill. Where once gaming on mobile was exclusively the stomping ground of titles like Angry Birds and Cut the Rope, these days giants of the hobby like Fortnite and PlayerUnknown’s Battlegrounds find themselves with fully-featured mobile versions. These games are geared towards high-end smartphones, of course, and devices specifically created for gaming usually cost a bomb. Not so with the Nubia Red Magic Mars, which will retail for around £400 or less when it lands. The Snapdragon 845 processor inside this baby will run even the most demanding and graphically intensive games with nary a complaint, while the dedicated cooling system inside is perfect for lengthy gaming sessions. This phone has been designed specifically for gamers, so it doesn’t carry some of the more desirable bells and whistles for Snapchat fans (the cameras aren’t great) but our money’s on this one for gaming. Q1 2019 is when you can pick up this monster. As ever, Cupertino is keeping quiet about the exact nature of its latest smartphone creations. 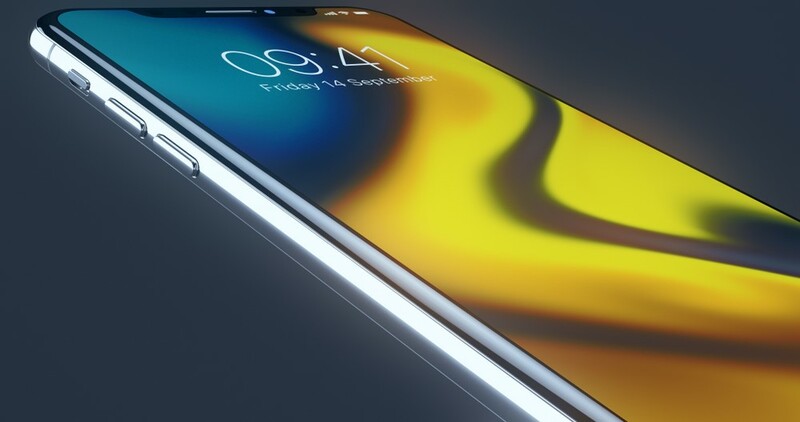 The iPhone X lit the world on fire with its notch design and lightning-fast software, leading many companies to follow its lead with their own hardware, so we don’t expect too much deviation from the formula when it comes to the iPhone XI, or iPhone 11, or whatever Apple ends up calling their new phones. We’re pretty sure Apple won’t be using the 5G standard, but that’s unlikely to matter to most consumers, at least to begin with. There are also calls for Apple to adopt the universal USB-C system, but while they’re making proprietary money with their Lightning connector that’s unlikely to happen. All we know is Apple’s new phones will have the same incredible performance, beautiful appearance and general tech chic we’ve come to expect from the company. If past form is to be believed, expect a release towards the end of the year, October-November time. OnePlus has made a name for itself supplying incredibly powerful and desirable devices at a fraction of the usual flagship cost, so expect that to continue with the upcoming OnePlus 7. The new device eschews the iPhone-style notch on its previous OnePlus 6T device, and it’ll use the new Snapdragon 855 processor, which pretty much guarantees it’ll be fast enough for almost anyone’s needs. The display is the real star of the show here, with its incredible bezel-less design and pin-sharp clarity. Interestingly enough, OnePlus has also confirmed that it’s also releasing a 5G phone this year, and that phone will not be the OnePlus 7. Curiouser and curiouser. The OnePlus 7 is expected to launch around May this year, so you’ll be able to get your hands on it then. Do you like dual rear cameras? How about five cameras? It sounds excessive at first, but Nokia’s 9 PureView will sport an amazing five lenses, each of which will snap a picture at the same time. This theoretically means that the cameras will capture ten times the regular amount of light, leading to a better and more focused image. On-board software will do the rest of the work, sharpening the image and changing the focus based on what it thinks you snapped. Nokia’s newest device will also have a Snapdragon 845 processor, putting it somewhere behind 2019’s foremost flagship devices but still packing plenty of power for the average user. Make no mistake – this is a photographer’s phone, not a gamer’s or a power user’s.